Wow! Everything looks very slick and professional. 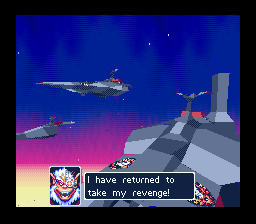 satsu’s translation fits the tone of the game quite nicely, and the reprogramming work by Gideon Zhi, d4s, and Fusoya betrays no hint of the apparent difficulty in working with a Super FX game. And check out that new title screen! 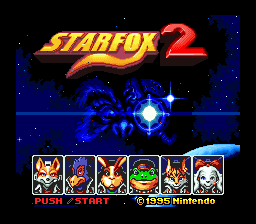 However, this is not the complete version of Star Fox 2. 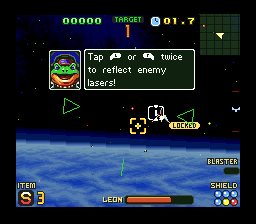 General Pepper medals give no reward, the Homing Blaster and Expert Mode are unlocked from the start, bombs do not work, and overall, the final version is a bit more polished. However, we will not provide a ROM for the final version, as Nintendo has released it officially with the SNES Classic. Note that there are two versions of the patch. 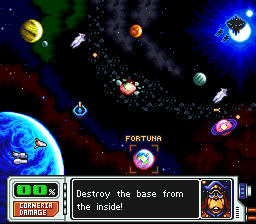 The “debug” patch simply renders the prototype into English, leaving the framerate displays and other assorted debug junk intact. The “full” patch translates the game and removes the debugging features, making it as close as the final product as possible until the final version was released in 2017. As always, check the readme for more details.